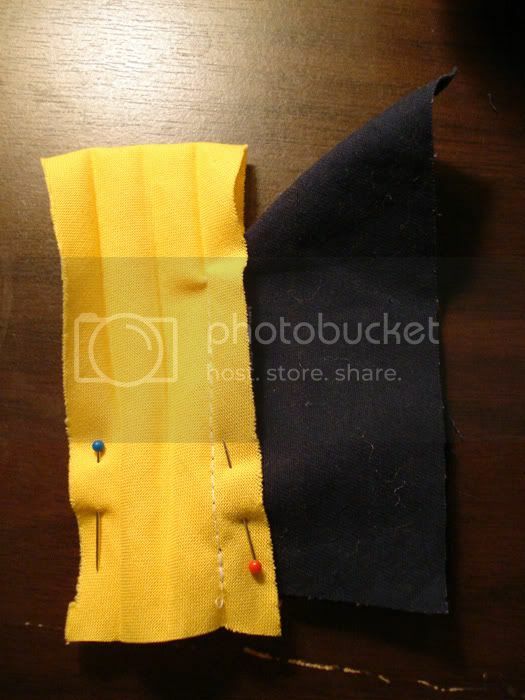 made this quickly for yavarice' use, since long-distance sewing help is quite difficult without pictures...figured it might come in handy for some other people, maybe. 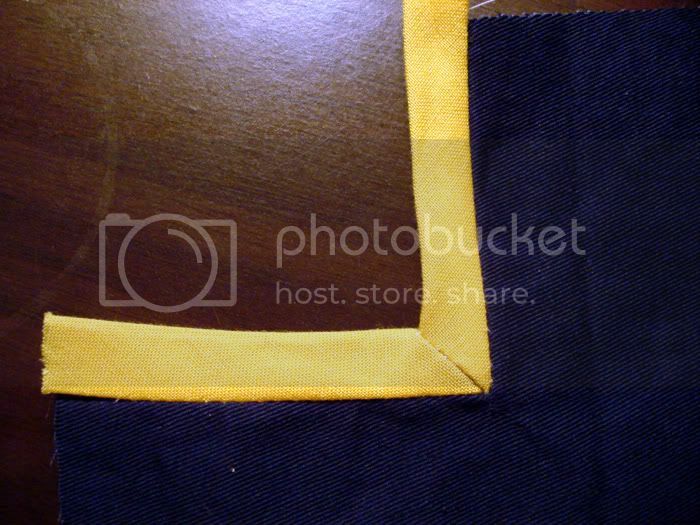 the picture/sewing quality isn't the best, so maybe I'll make better photo examples later or something. 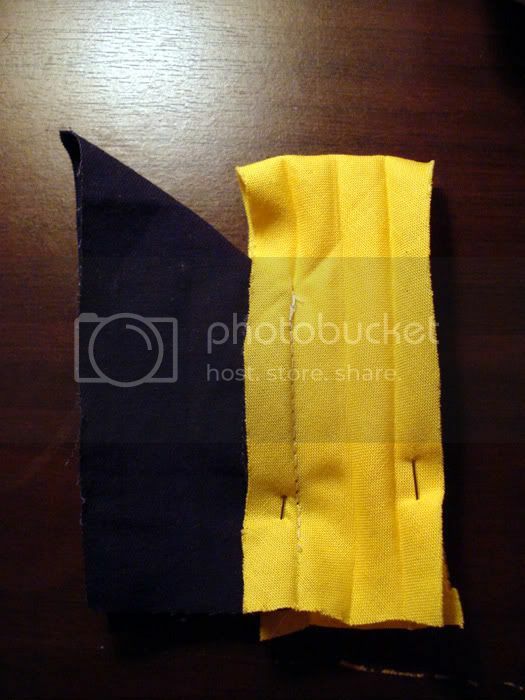 it's probably best if you know how to do straight bias tape and outer corners first, since it's easier. I did a brief overview of it here, so familiarize yourself with that first if you haven't had any experience with it yet. 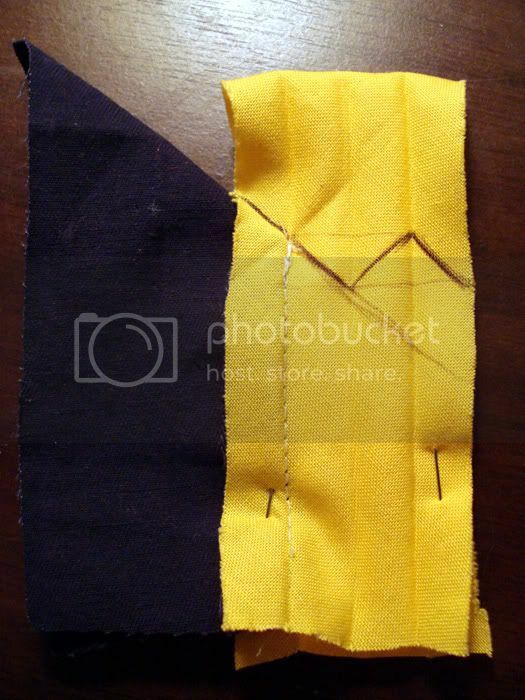 bias tape-kun first meets inner corner-chan. 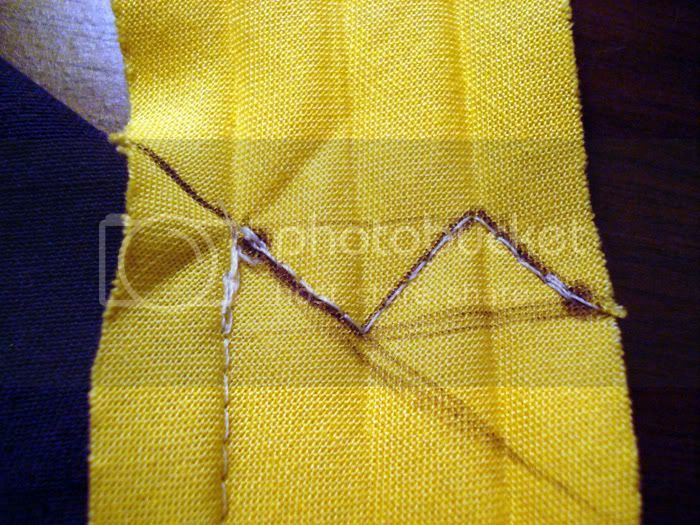 similar to the process for applying bias tape to an outer corner, the first step is to line your strip up and sew to the point of the corner. 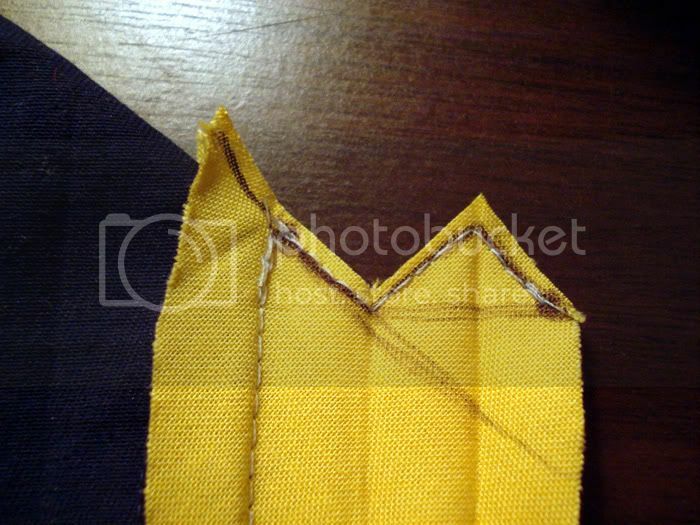 fold your tape over on the other side to overlap the first length, and again stitch to the point. just to clarify the stitching again, here's the back. the next step is to clip to the point. 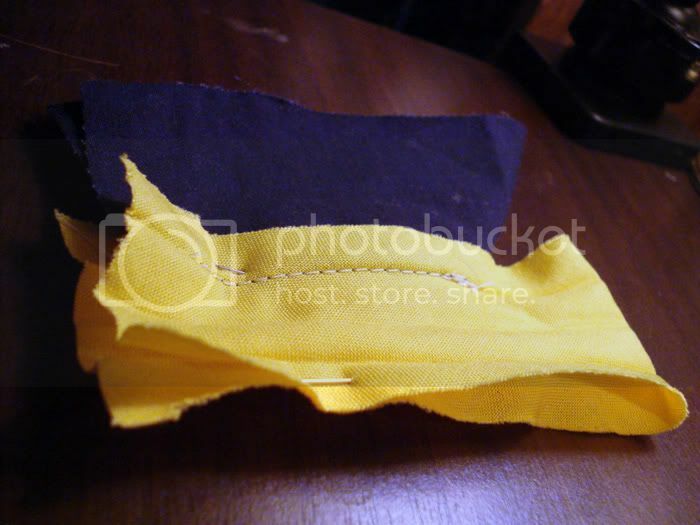 just the fabric layer, no need to notch into the bias tape. the next part is the trickiest step that I had the most trouble with (and developed amnesia about for six months...=___=;). 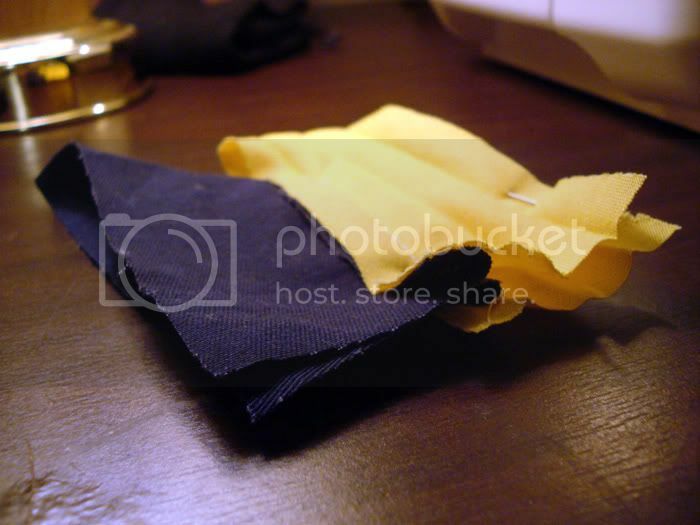 it's hard to explain which way you fold it via text, so I took a lot of pictures to try to help make it as clear as possible. 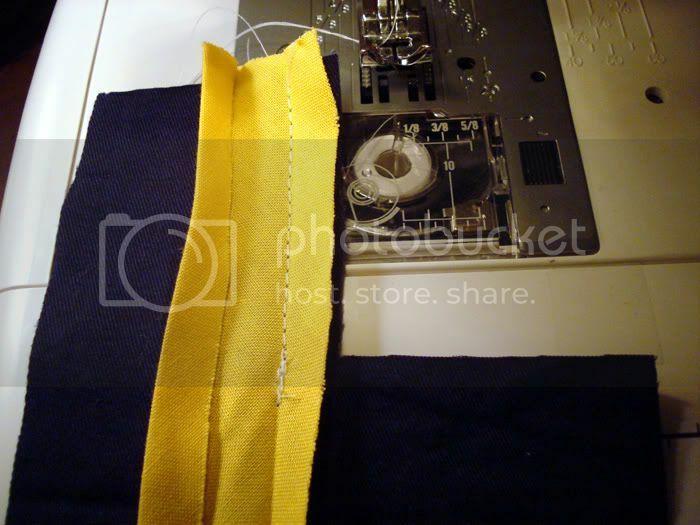 take both of your bias tape edges and put them together, so that the length of the tape is running in a straight line. it should look more or less the same on both sides. 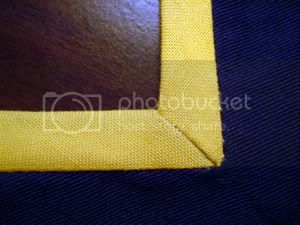 here's a picture from the bottom to help further illustrate how it's folded. 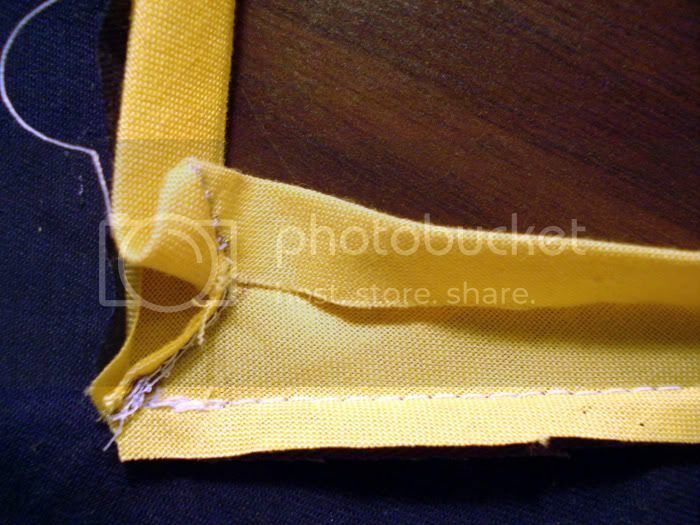 the seam allowances should all be facing away from the strip of bias tape. 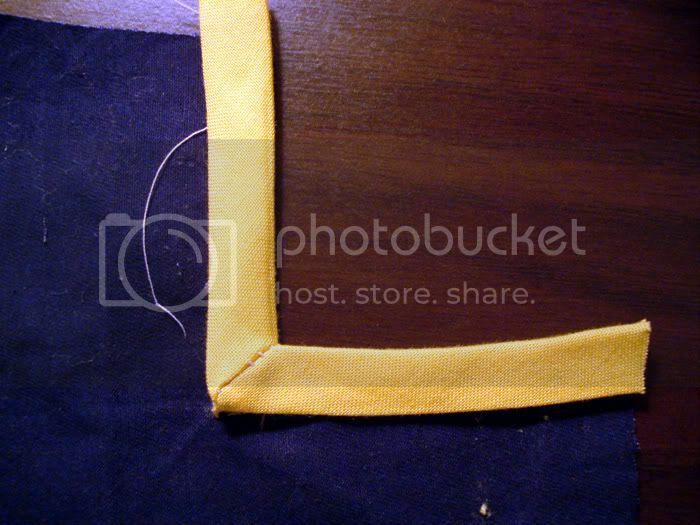 next, take a ruler and extend the line from your fabric on down as if it continued through your bias tape. (this is the lightly penned diagonal line) then draw the angles like you would for an outer corner, but in this formation. 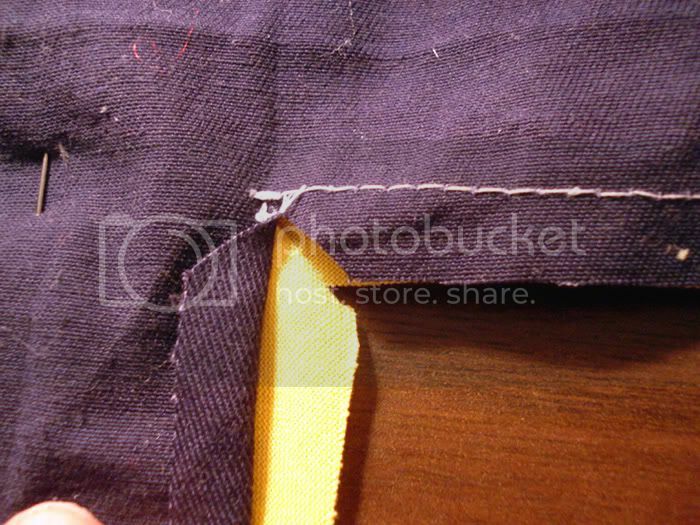 the folds in the bias tape are making it try to close back in on itself in the picture (and resultingly skewing the proportions a bit), but all the lines should be a straight shot from point to point. 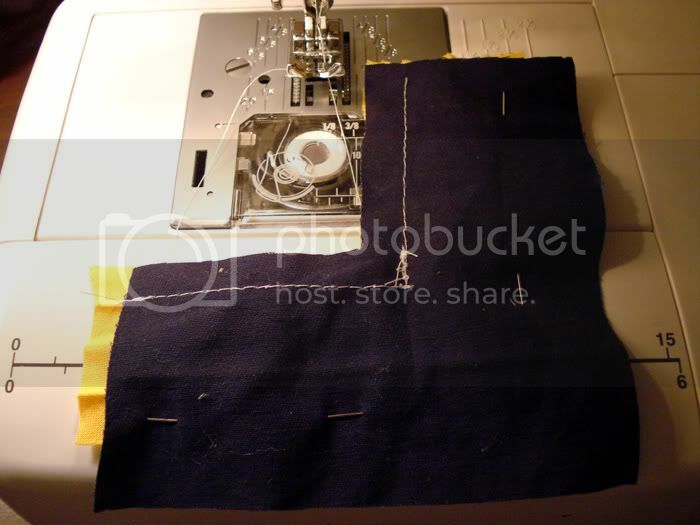 you'll be stitching from dot to dot. okay, stitched. 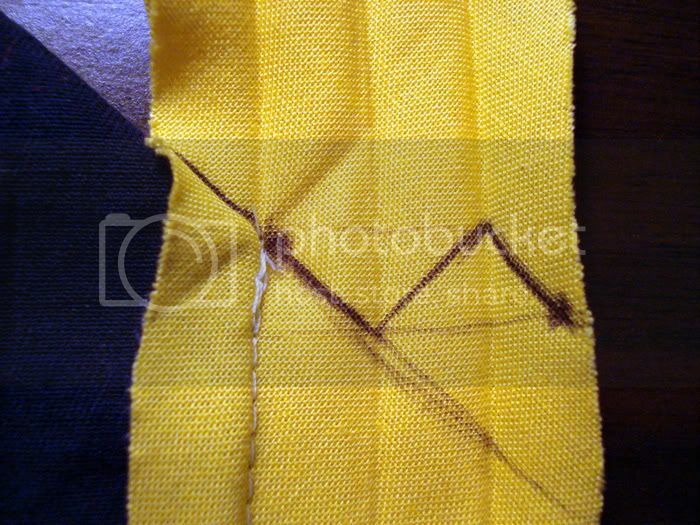 note: you might want to use a smaller stitch than I did here, it'll hold the corner together better/make it easier to stitch it precisely. 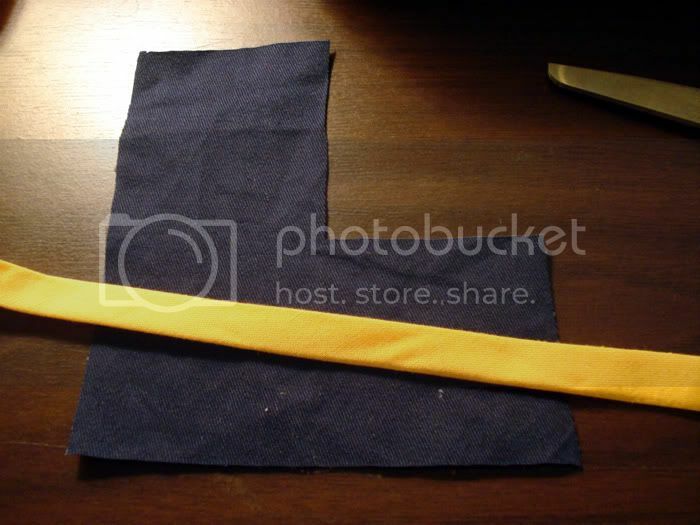 now clip away the excess fabric. 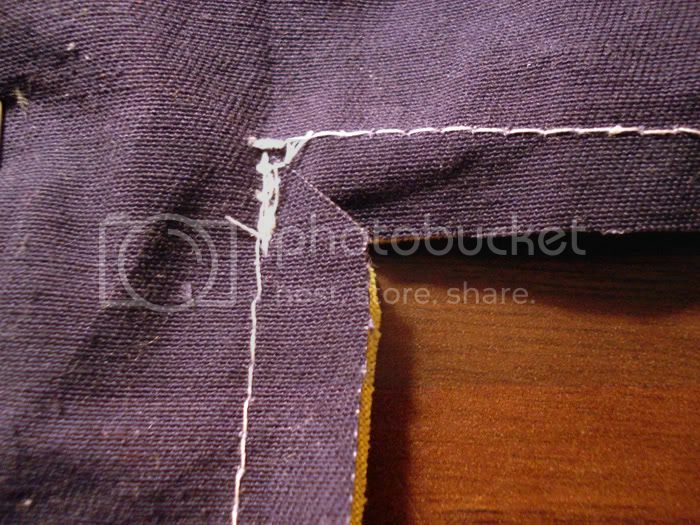 flip your newly mitered corner to the inside, using a point turner to push the fabric outwards to form a crisp point. 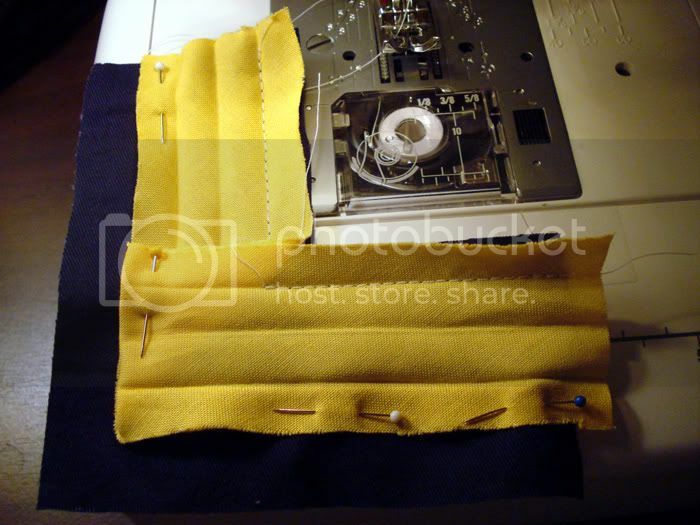 trim away the excess fabric as needed from the seam allowances along the length of the bias tape approaching the point intersection. it'll look like this on the back. 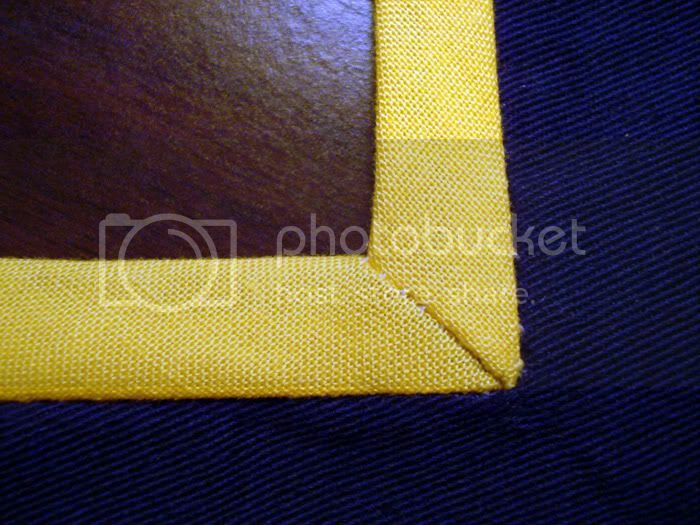 secure it with slipstitching (optimally), or your preferred choice of bias tape finishing as detailed in the previous tutorial. 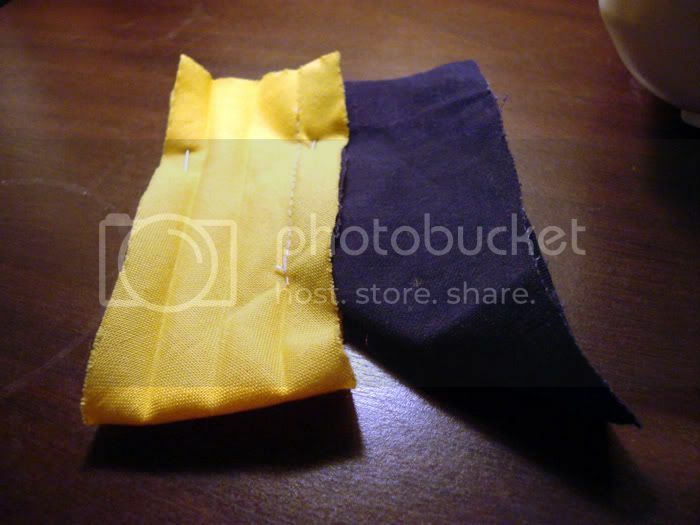 and it'll look like this on the front. congrats, you now have an awesome corner.